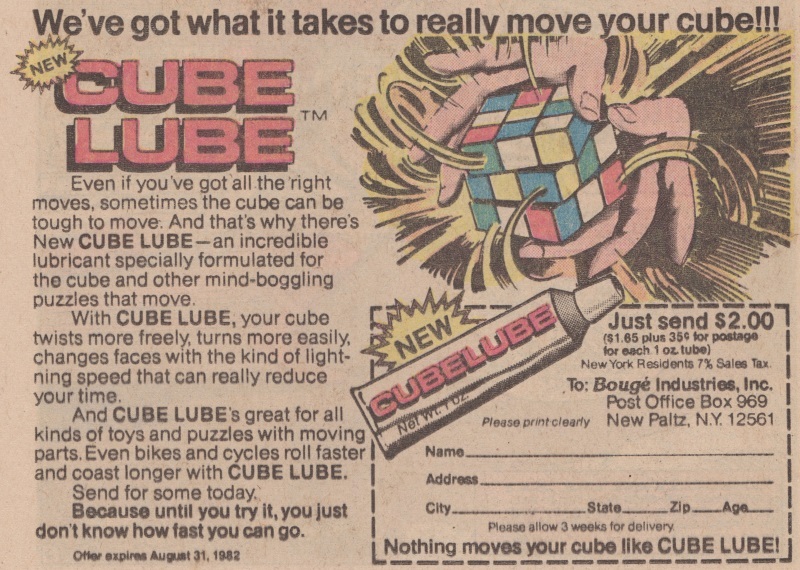 But a quick net search led me to discover that you can still buy it and from the official Rubik’s website, no less. Not so niche after all, I suppose. 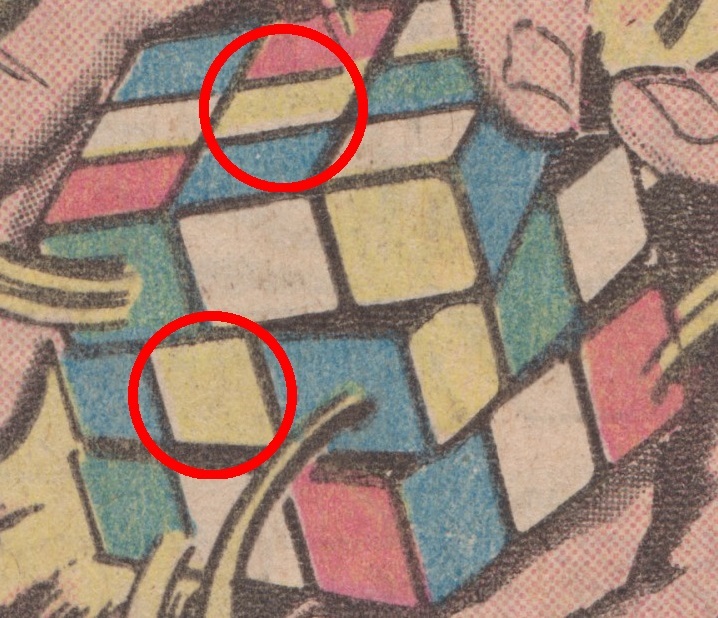 It’s possible that this cube has two yellow faces and two white ones – but that would take up four faces and, aside from those colours, we can clearly see blue, green and red squares which means the cube would have seven faces, not six. If you’re going to pull the sticker cheat, do it right! Hah! 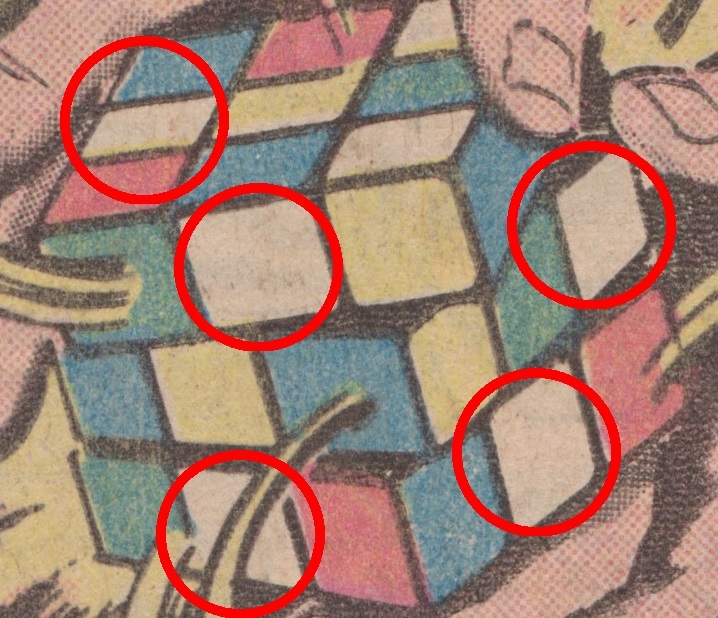 Yeah – a friend of mine used to peel the stickers off and claim he’d solved it until we caught him doing it!